Traditionally, otsukimi is held on the fifteenth night (Jugo Ya) of the eighth month of the lunar calendar. Dating back to 1100 years ago, and influenced by Chinese culture, the court people had a moon viewing party with poem readings, playing music, and also enjoying sake. You would find many stories of this event in old collections of tanka poems, diaries and/or famous tales such as The Tale of Genji or The Tales of the Bamboo Cutter-the Princess Kaguya. 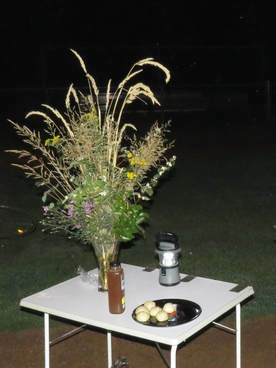 By the time of the Edo period, about 350 years ago, commoners also had a moon viewing party to celebrate and thank nature for their harvest. 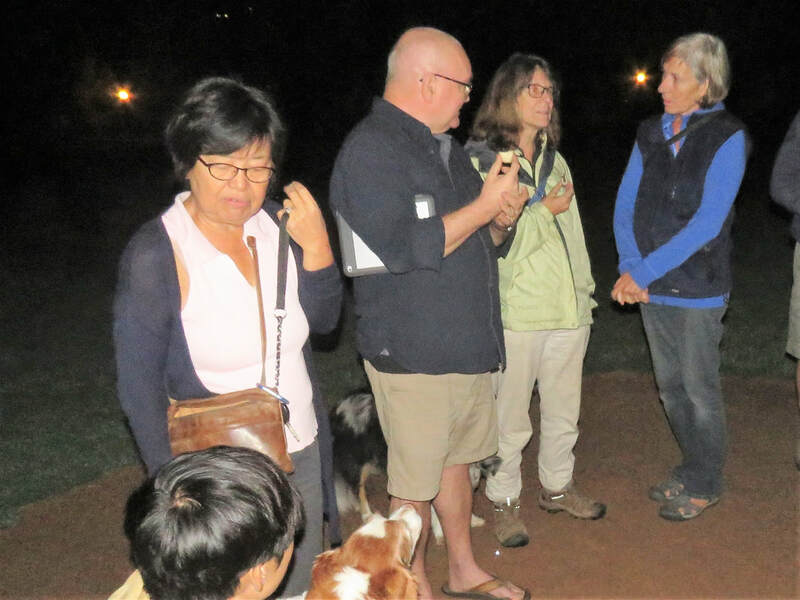 It became very popular among poets to have gatherings or contests for haiku reading under the harvest moon. This custom is still popular today in Japan. Basho is the renowned haiku poet of the Edo period who in later life became a wanderer most notably in the ‘north’ of Honshu. We were concerned that the smoke in the skies from the wildfires would prevent us from seeing the full moon. We waited anxiously. ​Keiko made the traditional arrangement of 7 types of wild plants, and manju, a Japanese confection of rice flour and adzuki beans. Manju look like the moon, and there must be exactly 15 of them! 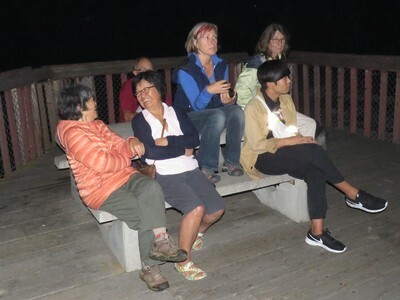 We ate manju as we waited for the moon to rise over the mountains to the south of Nelson. Suddenly the top of the moon appeared. 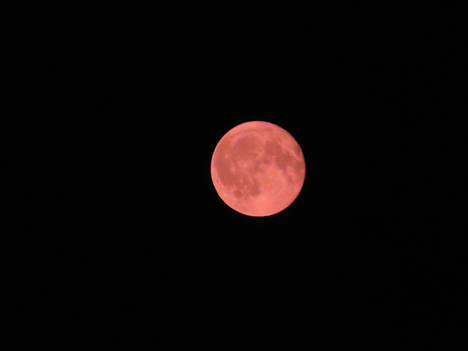 In minutes we viewed the full bright-red harvest moon. Historical notes from Shoko Kurizaki Armstrong. Malcolm Fitz-Earle photos.